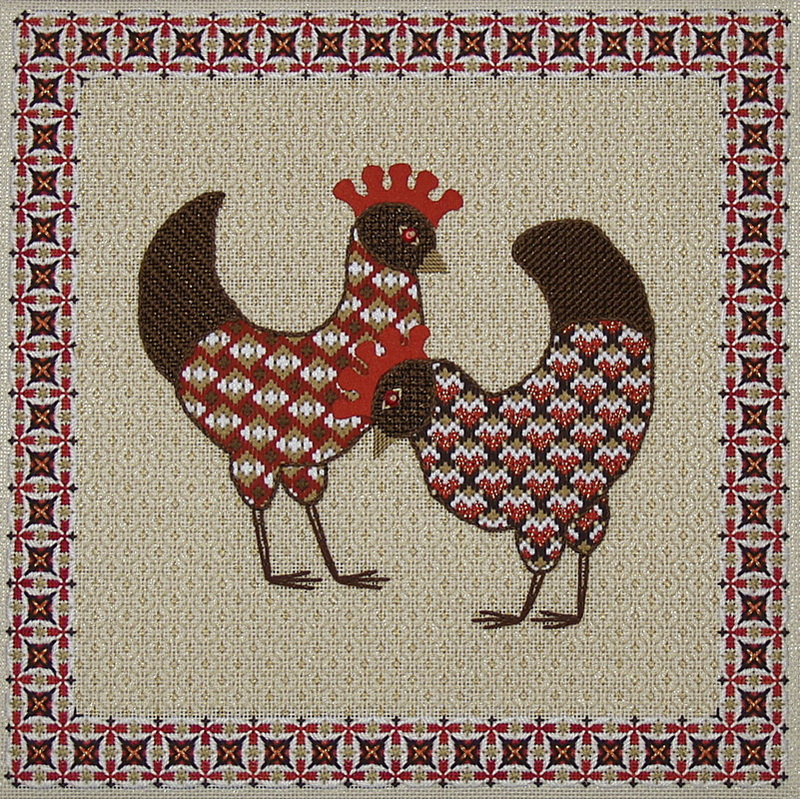 This whimsical design was inspired by a pair of folk art figures. The two chicks have bodies with bold, original diaper patterns and legs of couched velour. The heads and tails have fillings of Mosaic variations with red crystal eyes and combs of couched red ultrasuede. The border is also a striking diaper with a four-way main framework of interlocking circles and the background is an appropriate “chicken wire” pattern with gold highlights. These funky ladies are irresistible!